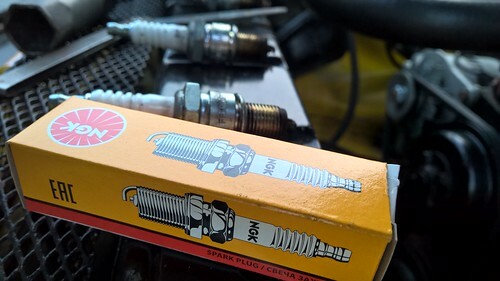 Quick note about spark plug colours. Just replaced the plugs and it looks like I'll need to adjust the carbs slightly. From the colour the rear two are running a touch lean and the front two a little rich.